Shy albatross. Credit: Steve Copsey (2012) "Three Amigo's Birding" blog. The albatross is a bird that spends the majority of its life in the air over mainly the southern hemisphere’s oceans, landing only during breeding season on small islands. Albatrosses are capable of drinking salt water and live on average of fifty years in the wild, but their greatest feat is the ability to fly thousands of kilometers for up to forty-five days without landing. Until recently researchers have not had the necessary equipment to track albatrosses on small scale movement in order to better learn how they fly continuously for such an extreme distance and time. This newly developed GPS software has allowed researchers to get increased positioning data from the meter down to decimeter range. Now researchers are able to see how and where the Albatrosses move rather than just their overall position on the globe. The reason for this increased data capability are due to the new in-house software not needing carrier phase measurements that are too unreliable for tracking moving objects such as albatrosses over agitated water-surface which causes severe and erratic signal reflections. However, a drawback from this new technology is that there is a residual error drift affecting the final positioning of the data. So the data of accurate flight trajectories range from 30 seconds to 5 minute intervals partially due to environment conditions. In order to make the data more accurate, the team of researchers compared information gathered from their new software program to the precise, but more spread out carrier phase measurements. As a result of more accurate data, researchers have come up with new explanations explaining albatrosses’ tremendous flying range and efficiency. 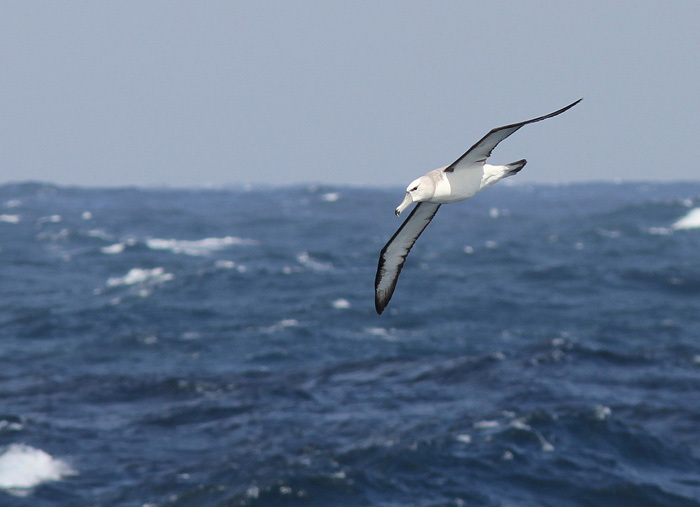 Firstly, albatrosses’ special elbow-lock system allows them to keep their wings open without any mechanical energy. But more amazing is albatrosses’ ability to use dynamic soaring which involves using the winds to provide them with the necessary speed for flight. This allows them to fly great distances without flapping their wings which causes them to expend energy. The secrets of the wandering albatrosses have finally been unveiled as an outcome of this new incredible in-house software that allows for more precise tracking.